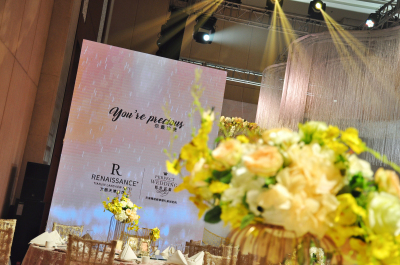 The “You’re Precious” themed wedding salon of Renaissance Tianjin Lakeview Hotel has been held on 02 September 2018 15:30 at the Grand Ballroom. Hotel was honored to present this salon in collaboration with Perfect Wedding, Wedding Dress Story, Dianping.com and Tami Technology. More than 50 couples attended this event and spent a romantic moment. 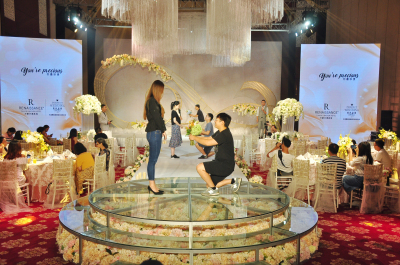 The venue of this wedding salon covering 1,500 square meters, which is the biggest ballroom of Renaissance Tianjin Lakeview Hotel hosted many important event such as The National Game, BRICS Health Ministers Meeting and Davos Forum. It was not only a kind of honor, but also recognition of hotel’s facilities and services. 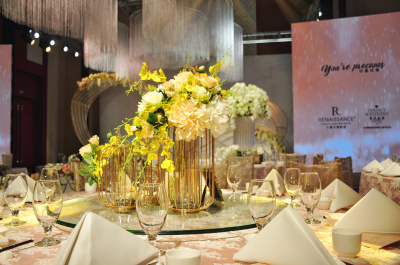 On that day, this ballroom was decorated with the current popular champagne colour by Perfect Wedding Company and showed an amazing visual effect to all the guests. 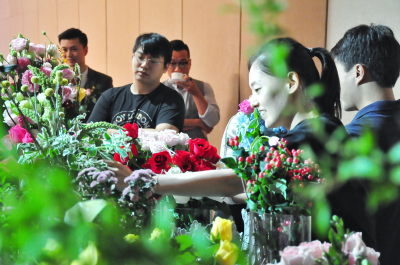 During the event, there were also many interactive sections like bridal bouquet arrangement, proposal lesson and lucky draw, prizes include room vouchers from all around China! 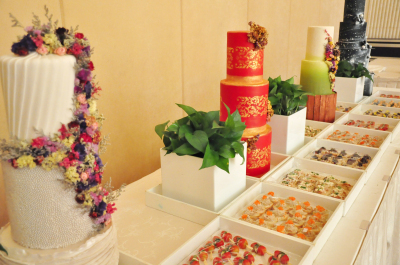 Besides that, hotel also prepared wedding themed tea break, desert and drinks for guests. The next wedding dress show presented by Wedding Dress Story, all of the gorgeous wedding dresses are stylish and use the most fashionable fabric to make sure that every girl can be the most beautiful princess at their wedding. 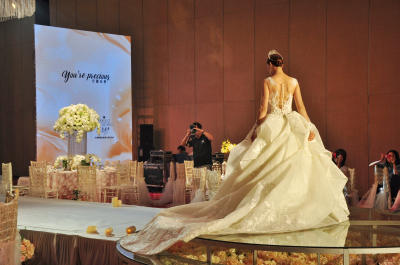 “You’re Precious” wedding salon brought a classic moment of dream wedding, which to make your special day to cherish for a lifetime. 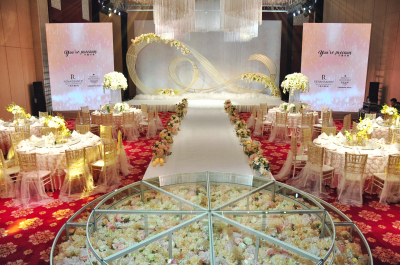 Renaissance Tianjin Lakeview Hotel has professional wedding experts and prefect wedding venue like ballroom, lobby lounge and natural lawn garden, the whole team is devoted to making your dreams come true.